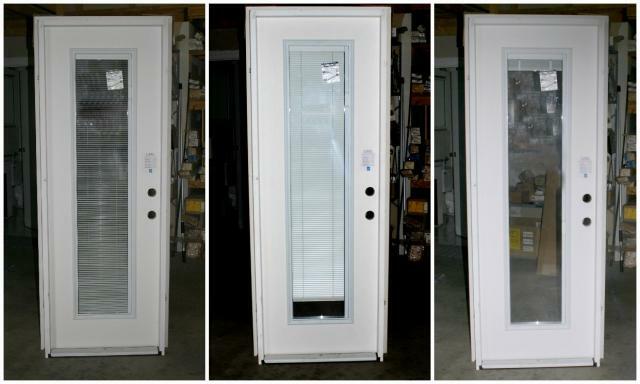 28 x 80 full glass with blinds in between the glass on a 4 9/16″ primed jamb. Exterior door swings out with hinge on the left. Blinds tilt and stack.